You know that age old question "If your house was burning down, what would be the first thing you'd grab"? Since I don't have any photo albums in my house, next up would be my guitars. If I had maximum wage, I'd splurge on guitars all day, real talk. Not to say I'm king shred master John Petrucci, I just play as a hobby and frankly I haven't improved at all in the past four years. 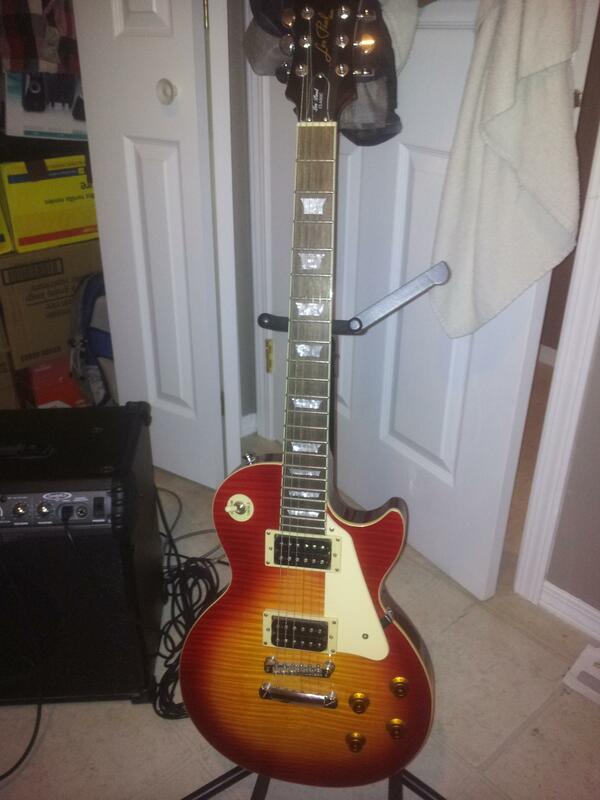 Epiphone Les Paul: this was my first guitar ever. My parents bought it for me as a birthday present when I was in grade 10. So it holds some sentimental value. 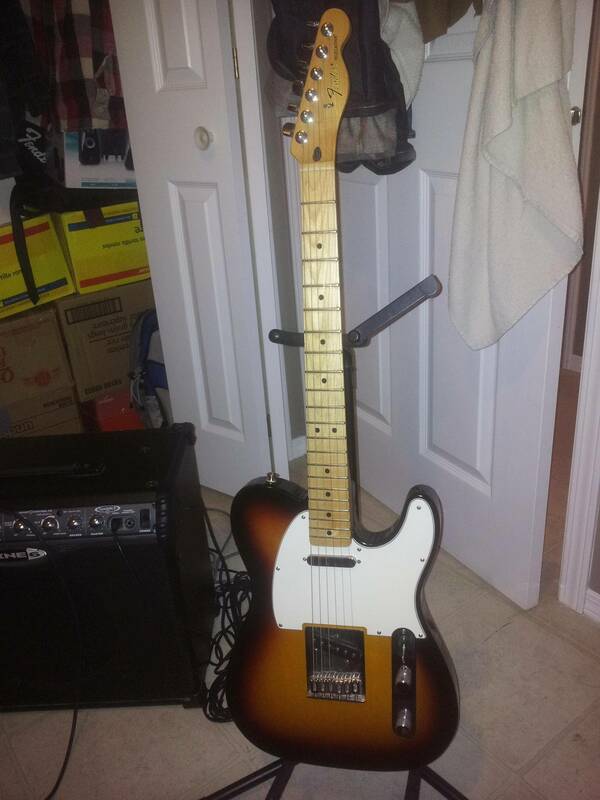 Fender Telecaster: this is the first guitar I ever bought with my own money. My Les Paul has a fat sound while this has a "brighter" sound comparatively. 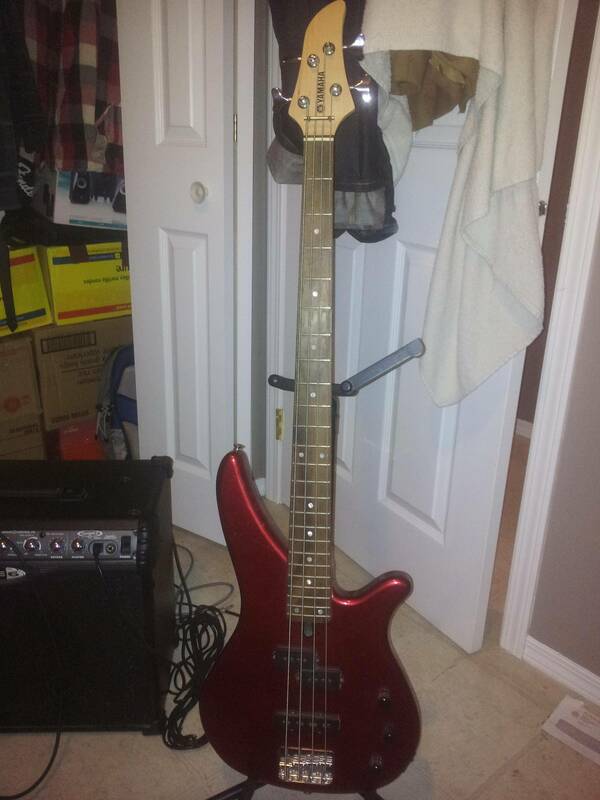 Yamaha RBX-170: got this bass when I was hitting the whole "I NEED TO BE DEATH FROM ABOVE 1979" phase. That has passed, but what I got out of that phase was the ability to play all Death From Above 1979 songs. Useful skill, never. It's too bad I don't play this as much, but I'm sure it'll get its use one day. 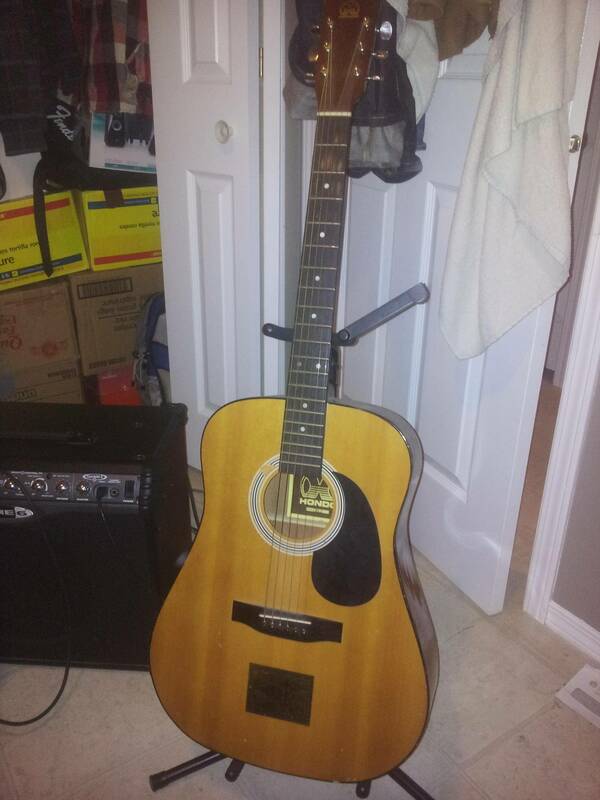 Hondo... something: my dear friend gave me this guitar, so I treat it with tender love and care. I love the worn look of it, and despite its age, it sounds wonderful. Do you have any instruments? Let's chat about them. I know the feeling bro. You can take everything from me but my guitar. Music is where I find my solitude. You know, I really dream of learning how to play the guitar. I love music and would love to play an instrument. I actually tried once, but my hands and the guitar just wouldn't coordinate! Nice guitars! My guitar is somewhat like your last guitar, only blue. I have never used it again, I think for 3 years because of hectic schedules while studying. And I'm still not sure if I can touch it again after a tiring workday. I do had guitar like this design before which reminds of my high school days. I used to hold back of past when I saw something that reminisced my past.